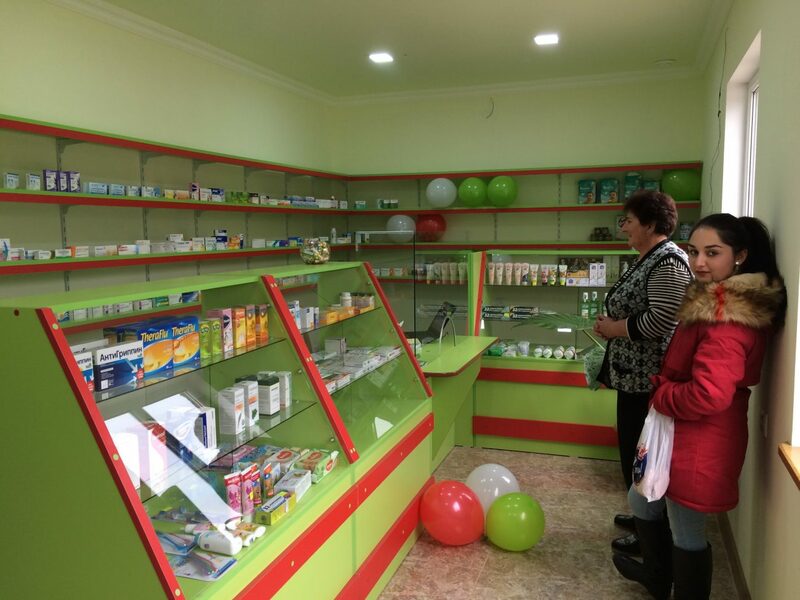 SEVKAR, Armenia – On November 12, 2018, a new pharmacy opened its doors to the residents of Sevkar, a border community in Tavush marz. 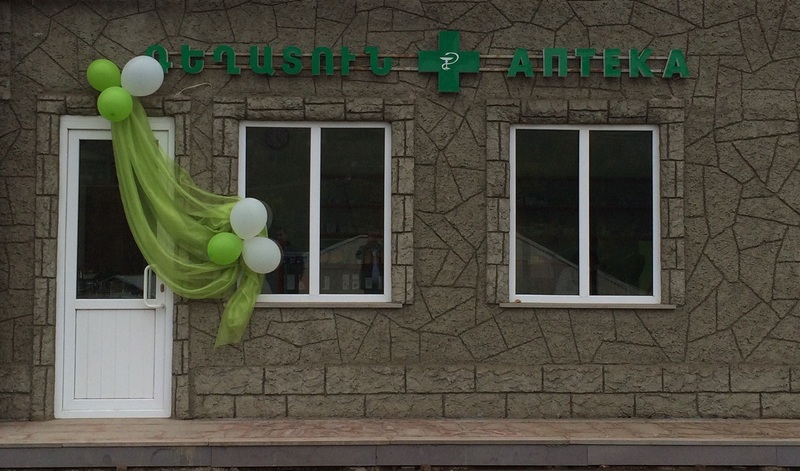 The construction and opening of the pharmacy became possible with professional and financial assistance from the Entrepreneurs in Heath (EIH) program of the Turpanjian School of Public Health (SPH) of the American University of Armenia (AUA). The EIH program was launched within the scope of the AUA Turpanjian Rural Development Program (TRDP) and aims at improving access to quality healthcare services in rural communities and regional small towns of Armenia, Artsakh and Javakhk. There were no pharmacies in this village of about 2,300 residents, which drove Kristine Simonyan’s interest in applying to the EIH program to be able to address this gap. 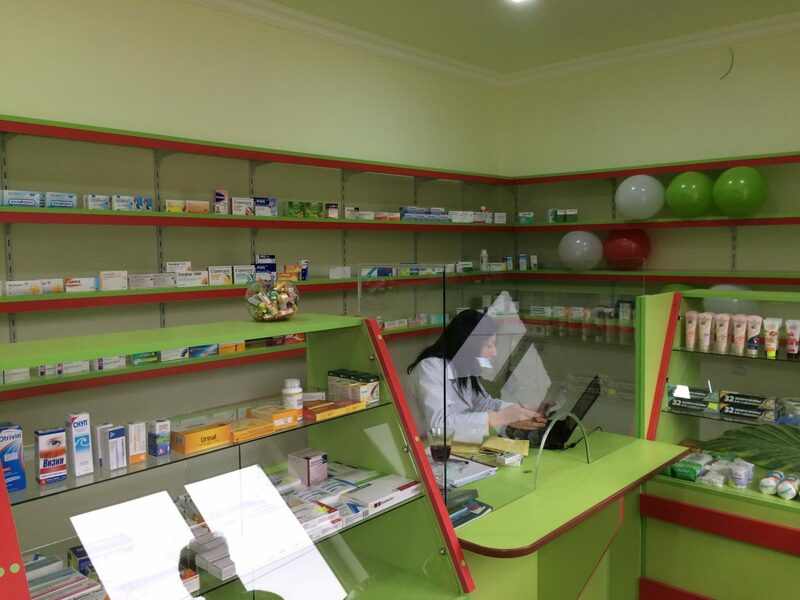 Although Simonyan does not have a health background, she successfully runs her business along with her employees, including a pharmacist. Prior to opening the pharmacy, Simonyan successfully completed the EIH Entrepreneurship Skills course and prepared her business plan. Then she completed the Basics of Quality of Care Improvement course and developed a quality assurance plan. Both plans were approved by experts and the EIH Executive Committee. The EIH program continues to support Simonyan in running the pharmacy by offering her professional advice in healthcare management, quality assurance, financial management, and other relevant areas of business operation. The AUA Turpanjian School of Public Health works actively to improve population health and health services in Armenia and the region through interdisciplinary education and development of public health professionals to be leaders in public health, health services research and evaluation, health care delivery and management.